Financial planning is a subject that engenders anxiety and avoidance in the best of us. But if you've ever asked yourself, is it worth paying for a financial adviser? We're here to tell you what you stand to gain, as well as how to choose the right person. Financial planning refers to creating a comprehensive overview of your current and future financial state and identifying ways you can achieve your financial goals. 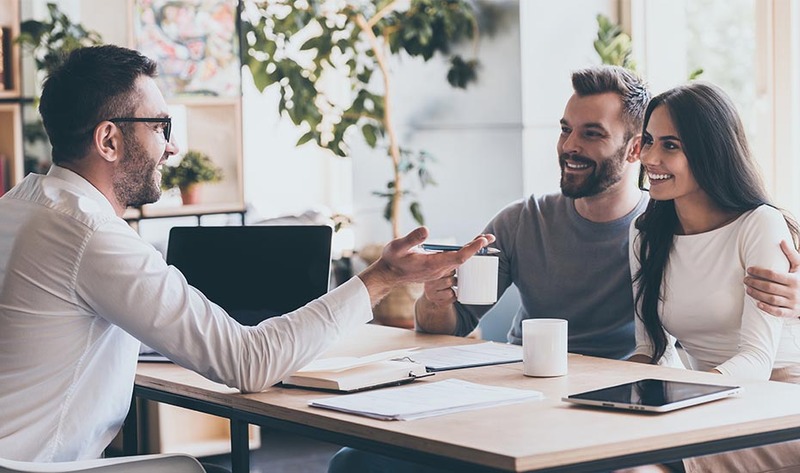 When contemplating whether you need a financial adviser to help you manage your fiscal future, it's worth considering what type of financial advice you want and what long-term outcomes you wish to achieve. A financial plan can make it simpler for you to achieve your personal wealth goals. 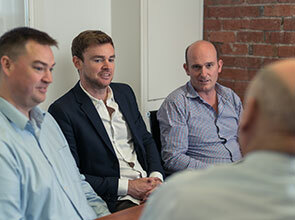 At Liston Newton Advisory, we take a holistic approach to financial planning. We take your entire financial circumstances into account when providing financial advisory services. A financial plan is essential for business owners who want to grow their personal wealth. Financial advisers can handle everything from investment advice to insurance broking, and protect your interests so that you can achieve your business and personal wealth goals. Taking control of your superannuation fund. 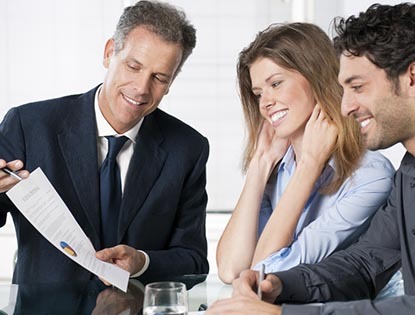 A financial adviser can help you with every aspect of your financial health. They should always have your best interests in mind and be upfront about whether they receive any commissions or perks for offering you certain products. Firstly, the person or firm that you work with should seek to educate as well as advise you about how best to use and invest your money. When we work with clients, we take the time to teach you about the best low-risk strategies you can use to achieve your objectives, and why taking unnecessary risks to get ahead rarely pays off. For example, if we're planning an investment for a client who only needs a five per cent return per year to reach their goal, we won't recommend a risky venture with chance to generate returns of 20 per cent - and we'll ensure we explain why. Qualifications are also important when it comes to choosing someone to explore investment options and strategies with you to help build your wealth. Never work with a financial advisory service that doesn't have the demonstrated education and experience to maximise your money for you. Regardless of whether you’re dealing with an independent adviser or someone appointed through your bank, you should also ensure they fulfil their legal requirement to provide you with a Financial Services Guide (FSG) or Credit Guide before signing anything or following their advice. Lastly, take the time to shop around and find somebody you're comfortable with. A good financial adviser will offer a free, no-obligation meeting to introduce you to their suite of services. They will be clear about how they can help you and what the associated fees are going to be. What are your personal goals, financial goals, and business goals? Where do you want to be in three, five, and ten years time? What is your comfort level with risk and risky investments? Have you considered what would happen if you got sick, injured, or passed away? Do you have a will and estate litigation plan? Be prepared to answer these questions in detail and be upfront about your financial goals, spending habits, and cash flow. Your financial adviser will let you know if you're eligible to pay for their costs out of your superannuation. Looking at this helps us calculate the required level of income-producing assets needed to fund your living costs both now and in retirement. We do this by creating a financial model of your current income and asset position, taking into account your living costs, and projecting your anticipated retirement date. We incorporate inflation to accurately determine how you will be positioned at this time and only make recommendations that are achievable based on your current financial situation. We look at the required levels of income-producing capital from your various existing sources and explore possible new sources to generate the desired after-tax income requirement. The process is based upon current and anticipated cash flow needs on an annual basis that spans a twenty year period. Figuring out your tolerance to risk and taking into account your required investment timeframe is crucial to setting up an investment portfolio that is suited to your needs. We provide independent recommendations on your portfolio to maximise the likelihood of achieving your key financial goals and objectives. Identifying your investment risk profile is crucial to ensure investments remain closely aligned to your financial position. As part of our holistic process, we analyse the various superannuation strategies available in the local market to see how further investing in that context may benefit you. Once we have determined where you stand, we complete a detailed review of your existing superannuation fund to see if it is worth maintaining based on its current performance and fee structure. We also provide an in-depth analysis to determine if it is a viable long-term strategy for you. To provide initial and ongoing recommendations of investments aligned to your identified risk tolerance profile, we analyse existing and new investments to build you a well-rounded portfolio that will deliver on the diversification required to reduce any potential investment risk. Further to these recommendations, we seek to minimise investment costs so we can help you maintain expenses from available capital for future returns. Where appropriate, we engage an established property expert to provide independent specialist advice on your specific property investments. Reaching your financial goals and objectives can require tax-effective investment structures as well as the implementation of tax minimisation strategies. Again, as outlined above, minimisation of costs will provide for more capital upon which to grow. 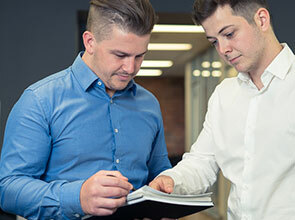 Our accountants and financial advisers work closely together with clients to consider tax-effective strategies and ensure appropriate taxation advice is provided. We take the time to review your lifestyle, assets and liabilities to determine your current and future personal insurance needs. We provide you with appropriate recommendations based on what we think you may require to ensure that, even in the event of death or disablement, you and your family are protected. A major part of good financial planning is ensuring that the strategies implemented now protect your assets for your intended beneficiaries well into the future. It's critical to ensure that the wealth and assets you grow will be managed in accordance with your wishes in the event of death, disablement or dementia. Our advisory firm works alongside a specialist estate-planning lawyer who can provide expert advice concerning all estate litigation matters. At Liston Newton Advisory, we believe you can't properly advise a client without knowing their entire financial situation. We provide a free 'discovery' meeting to all new clients so we can thoroughly assess and evaluate your unique financial situation. We look at personal goals, family goals, and business goals - not just one of the three - so we can fully understand where you stand and what your objectives are for the future. Once we've established what you want to achieve, we help you map out a plan to get there. We pride ourselves on our personalised service and holistic approach to financial planning. 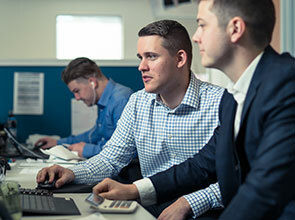 We've been offering financial advisory services for individuals and businesses for close to a decade, and helping to guide business growth for over 40 years. We care about providing the right advice for your budget, investment, and retirement, and happily explain all of our processes up front. At the end of the day, sound financial advice is critical for anyone who is wanting to build their wealth, anyone who is looking to retire in the next 10 to 15 years, and any business owners looking to achieve financial freedom by using the profits from their business. We can help you use your money wisely. No matter what your income or current financial status, we can get you moving and help you plan for your best financial future. We can help you grow your wealth with expert financial advisory services. To book your free discovery meeting, contact us or call us on [phone]. Liston Newton Advisory Wealth Pty Ltd is an authorised representative of MyPlanner Professional Services Pty Ltd AFSL 425542 ABN 51 159 696 830. This is general advice only and does not take into account your financial circumstances, needs and objectives. Before making any decision based on this document, you should assess your own circumstances or seek advice from your financial adviser and seek tax advice from your accountants at Liston Newton Advisory. Information is current at the date of issue and may change.